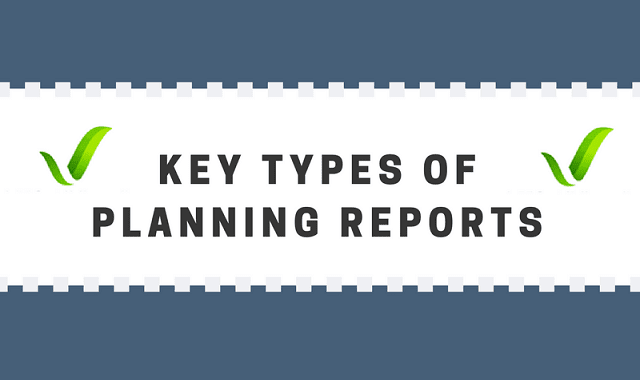 Key Types of Planning Reports #Infographic ~ Visualistan '+g+"
Planning Applications require a variety of Environmental Assessments and Technical Reports to make sure that problems are carefully considered when deciding new Planning Applications. Currently there is now a great number of closely related areas that any planning officer can ask for extra detailed information on, these reports are almost always can be accepted when carried out by a third party person with the correct qualifications. Therefore, if you want to make a planning application for a new house or home, convert an outbuilding or you might even want to carry out more significant projects such as redeveloping an existing site to become something new, demolish current buildings that are standing or other, then you will most definitely require some of the reports which are named and briefly explained here. Here you can see the most commonly used planning reports in the UK for a variety of different projects, whether for personal or commercial.